Sometimes you need a connector for easy connect and disconnect of your lighting projects to your power supply. 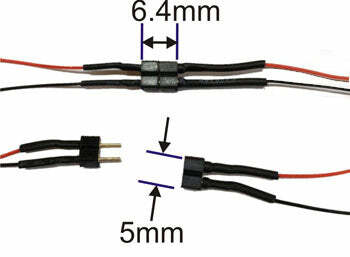 These small but very sturdy pair connectors come wired with 8" of red and black kynar wire with pre-stripped ends. Of course, the wire can be clipped shorter and re-stripped as needed. 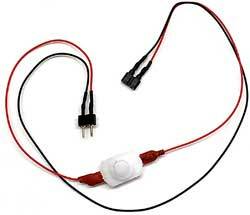 These connectors work with 3-36 volts DC or AC and can carry 5Amps. 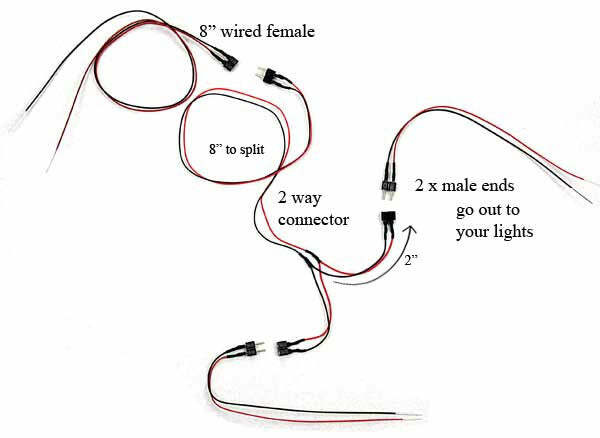 Quickly and easily connect and disconnect your lights! Extender A male and a female on the same 8" wire, located at opposite ends. Extender comes with a separate male and female, one of each. 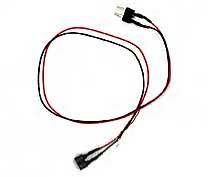 The extender can be used along with any other connector type. 5 way connector A great way to bring power to different locations, just plug and unplug as needed. 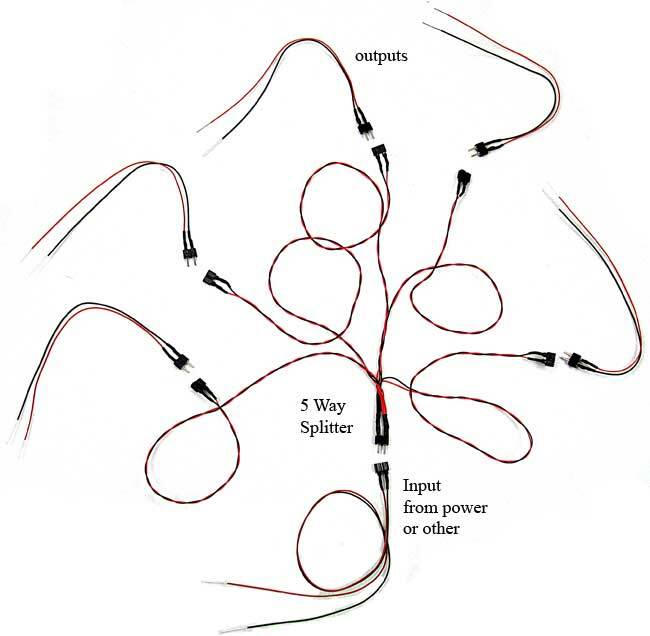 You can even use one outlet of your 5 outlets to connect another 2-way or 5-way, and then keep splitting! extender with switch Add in a switch at any point with this handy extender with switch. And move the switch around as needed, since it is a simple plug/unplug unit.